Scaled Risk's platform allow every financial firm to build real-time reports and analytics in a breeze - without compromising on business specifics or data governance. 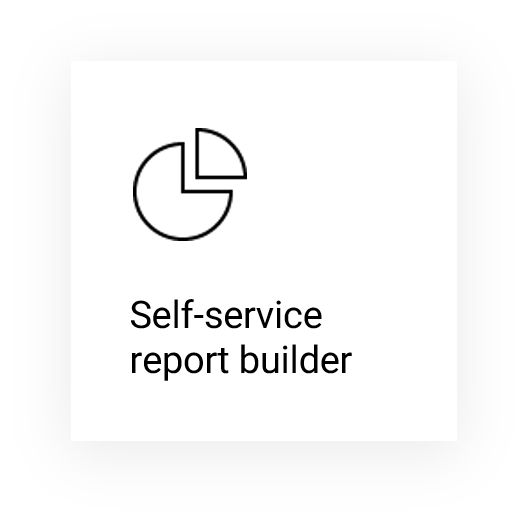 Smart, self-service data management & report building. Collect live raw data from any system. Clean data automatically. Explore everything with a google-like engine. Ceate a synchronized “image” copy of source data. Not transformation / ETL required. Just import as is. Meet our BI-inspired report builder and create live performance or risk analytics in hours, not weeks. We’re an end-to-end analytics machine that will give you much more than your portfolio analytics software or your datawarehouse/BI tool. Stay always up-to-date : if the data source updates, the report updates. Enjoy elastic storage and computing power thanks to our distributed architecture. Follow the pace : our multi-model allows you to enrich reports with new sources. Connect Scaled Risk to your workflows with our web API serving 150+ microservices. Unique audit-proof governance and data security. 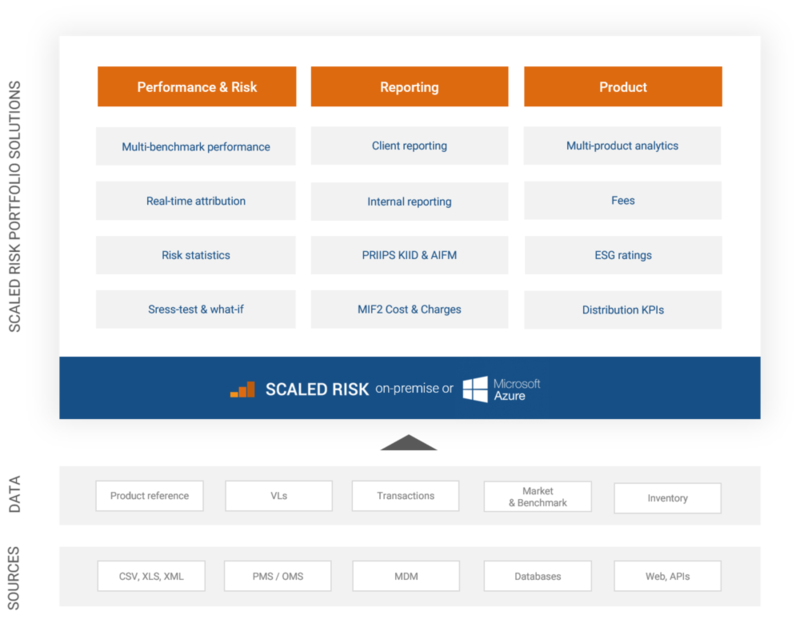 Scaled Risk understand that firms evolves in an ever-stricter regulatory environment. That’s why our engineers made sure that any data, any computation could be retrieved and explained. If a data is updated, Scaled Risk creates a new version and keeps the old one. Each report created knows where the data comes from, and when it arrived. Just ask. Every action taken in the platform (access, create, publish..) is recorded. As-of-date querying allows to see past data and re-run past reports with that data. What did our clients do with Scaled Risk ?